No electricity? No problem. Summit Appliance now offers a range of stoves with battery-start ignitions, requiring absolutely no AC power. 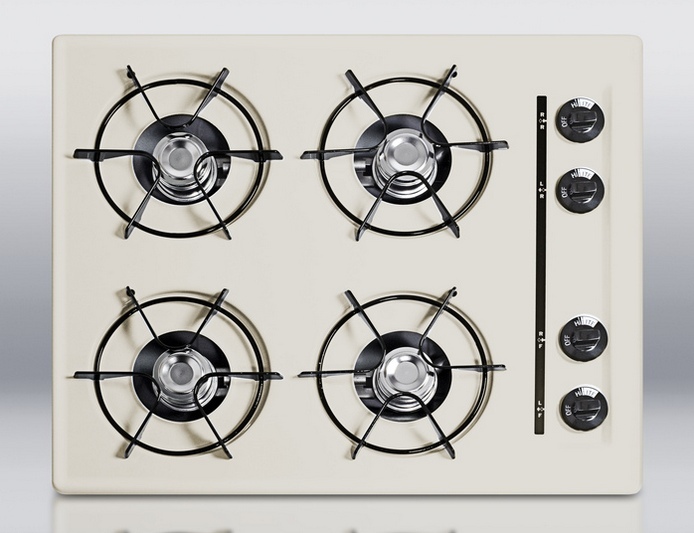 Four gas ranges (made in the U.S.A.) are available, in white only, one each in 20", 24", 30", and 36" widths. 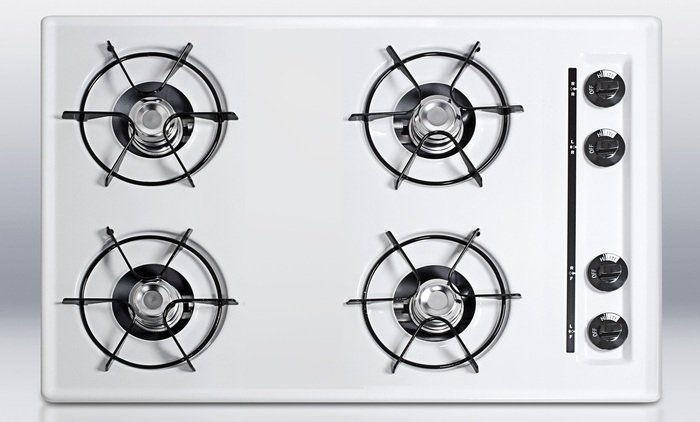 Drop-in cooktops (made in Italy) are available in 24" and 30" widths, and in white, black, bisque, and chrome finishes. For a description of model codes click here. Options cannot be mixed or matched but must be chosen from the models available here. Call or e-mail us for more information. All these gas ranges come set up for natural gas but can be converted for propane use in the factory or at home. Factory conversion is $45; LP kit for home conversion is $20. 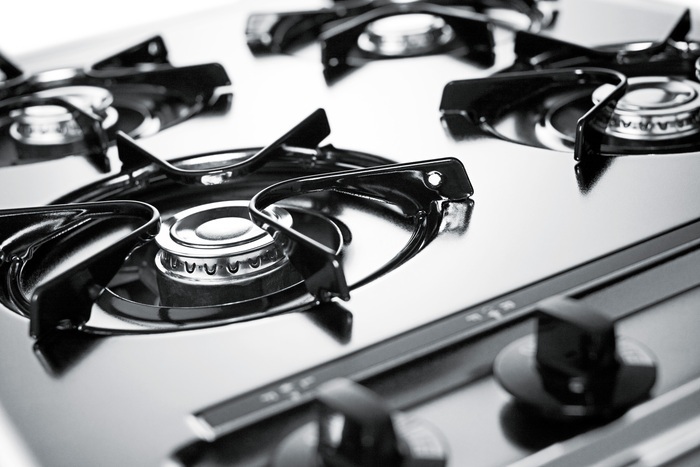 Cooktops convert from natural gas to propane with only an adjustment of the orifice and do not require conversion kits. At just 20" wide, this model is perfectly sized to fit into a tight space but has a large oven for family meals. A lower broiler drawer allows for more even crisping and an anti-tip bracket adds safety. 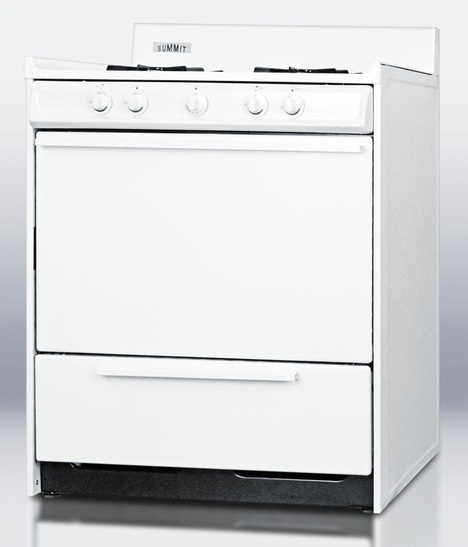 The complete porcelain and steel construction makes the WNM110P a durable unit with classic style. Bring great value into the home in an efficient range at incredible value. The interior dimensions of this oven are 16"w x 19"d x 14"h (2.46 cu. ft). At just 24" wide, this model is perfectly sized to fit into a tight space but has a large oven for family meals. 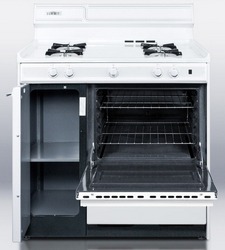 A lower broiler drawer allows for more even crisping and an anti-tip bracket adds safety. 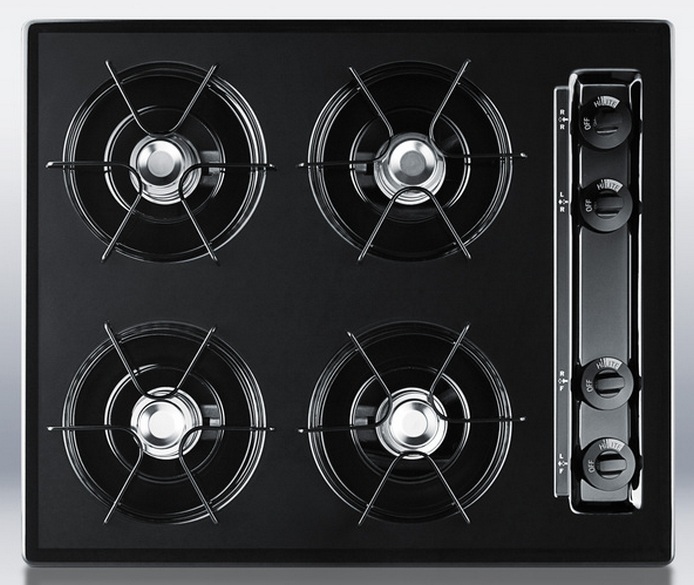 The complete porcelain and steel construction makes the WNM110P a durable unit with classic style. 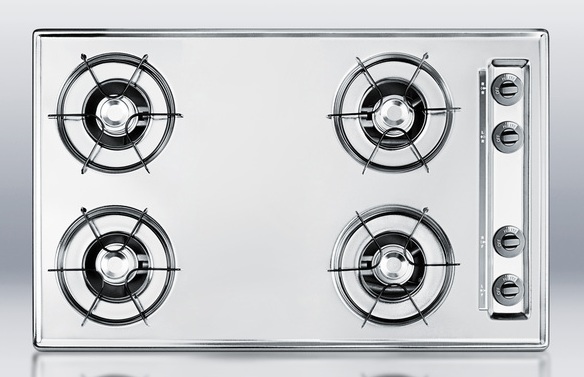 Bring great value into the home in an efficient range at incredible value. The interior dimensions of this oven are 19"w x 19"d x 14"h (2.92 cu. ft). 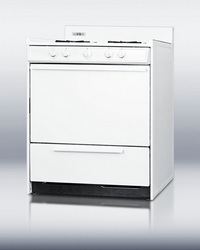 A full 30" oven accommodates large-scale cooking and a lower broiler drawer provides even crisping. 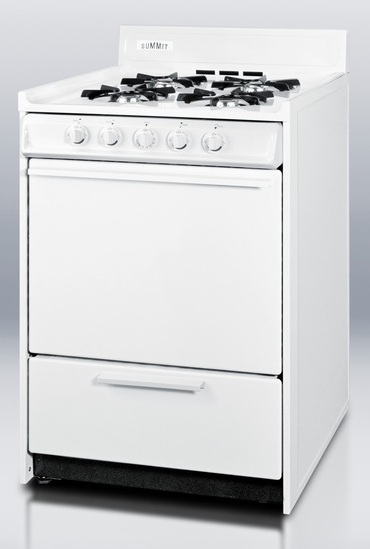 The complete porcelain and steel construction makes the WNM210P a durable unit with classic style. The interior dimensions of this oven are 24"w x 19"d x 14"h (3.69 cu. ft). 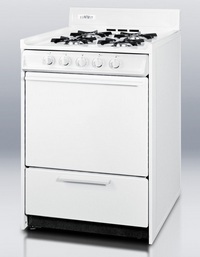 This full-sized, 36" range offers high capacity and superior performance at a value price. Bake, boil, and fry with a generous amount of working space on the porcelain surface. 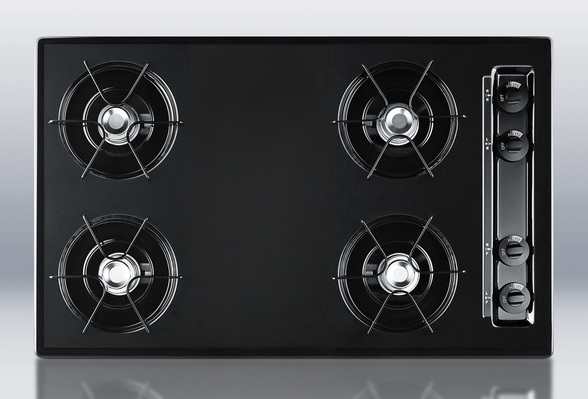 The deep oven is equipped for large-scale cooking with a lower broiler compartment. Use two shelves for cookware storage in the built-in cabinet. White porcelain exterior provides long-lasting durability and a classic look for any kitchen. The interior dimensions of this oven are 19"w x 19"d x 14"h (2.92 cu. ft). 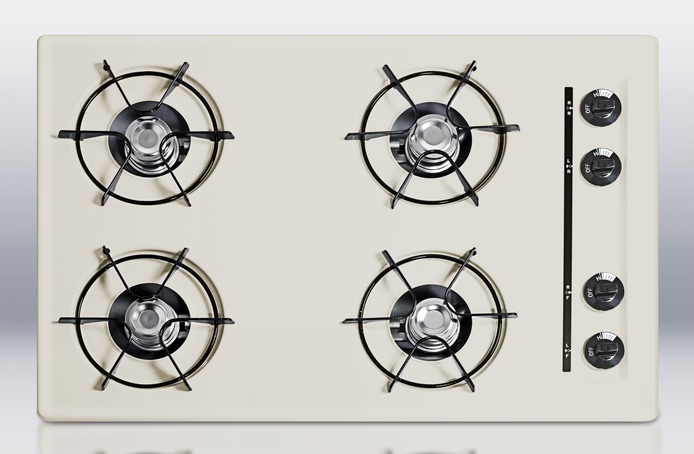 We also have a large selection of gas ranges available from Peerless-Premier Appliance Co. Please click here to view this extensive collection. These 24" wide cooktops feature a scratch-resistant porcelain surface in white, bisque, or black finish, as well as a brushed chrome surface. 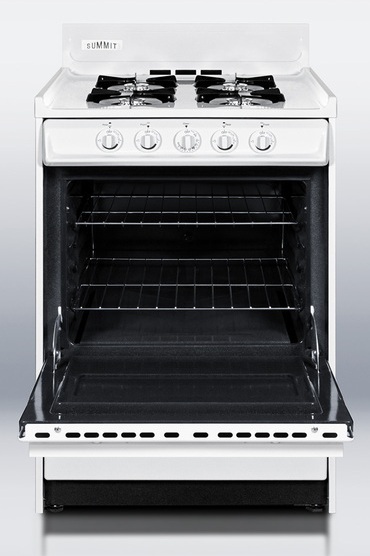 Four 9000 BTU open burners run on battery-start ignition and natural gas (convertible to LP) and include durable porcelain enameled steel grates. A recessed top helps to contain spills. Click on any picture below for a larger image. 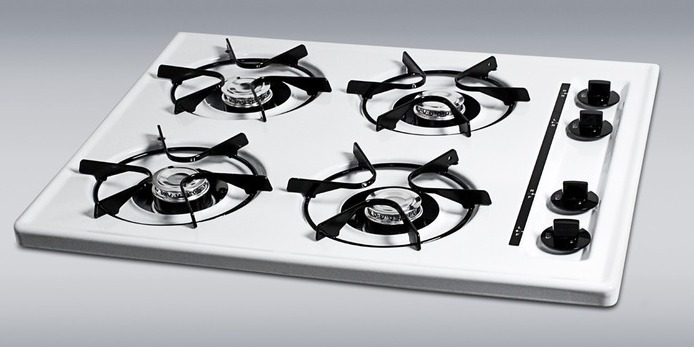 Please see our Verona webpage for more gas cooktops in 12", 24", 30", and 36" widths. WHAT TRUCK FREIGHT ENTAILS: The best rate for truck freight shipping is to have you pick it up at the local freight terminal or commercial drop point. A residential delivery is usually $40 to $45 more than a business delivery, and, a lift gate (which drops the goods off at ground level), is another $80 to $100 in additional fees. Inside delivery is an additional cost on top of that. Know someone with a truck? Can you have a dolly or hand cart on hand? If you can mobilize a couple of strong bodies, you might be able to save $80 to $120 or so. Check out our other product lines below.